Encapsulite architectural indoor & outdoor lighting fixtures focus on three main characteristics of the illumination of buildings or spaces. The first is the artistic appeal of a building or an interior space, important in the architectural lighting in retail environments. The function of the lighting is also taken into account. For example, will the lighting be used for reading in addition to decoration? Or will it be indoor or outdoor? 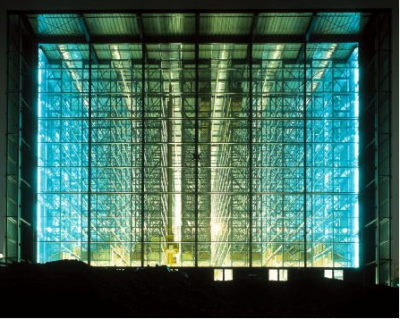 Last, the energy efficiency of the architectural lighting is also important, taking into consideration over-lighting of parking structures or not enough lighting for the functions to be performed in the architectural space. We specialize in the illumination of architecture, including academic, institutional, corporate, hospitality, retail, entertainment, and facade lighting projects. EncapSulite’s UV blocking safety products are especially suited for architectural lighting in museums, art galleries, and other places with light-sensitive objects. EncapSulite architectural lighting fixtures come in a wide variety of styles to suit multiple functions and uses. Architectural lighting fixtures and designs can range from simple and functional to virtual works of art. EncapSulite® Designer StickLights are designed using the latest in architectural lighting technology. View our decorative lighting photo gallery to learn more about both indoor and outdoor architectural lighting systems & applications from EncapSulite! EncapSulite International bases its success on Product Innovation, Quality Control, Reliability, the Highest Level of Customer Service, and Availability of Inventory for Rapid Shipment. Request a quote or contact us today for your Architectural, Industrial, Decorative, and Commercial Lighting Systems.